PROVIDENCE, R.I. — Seven bills resulting from state Rep. Teresa A. Tanzi’s #MeToo moment in the Rhode Island General Assembly are poised to move out of the House Labor Committee after a hearing Thursday. 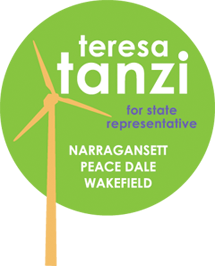 Tanzi, a Democrat who represents parts of Narragansett and South Kingstown, formed a commission to prevent workplace sexual harassment, educate society about what is and isn’t acceptable, and toughen protections for those whose only choice has been to suffer in silence. Tanzi and other sponsors said the commission worked hard to find a middle ground between the needs of the business community and those of the workers. about sexual abuse and sexual awareness. Give victims a wider window of opportunity to file a claim. employer to court for civil rights violations. in the definition of employee. Suspend the clock on the statute of limitations for as long as a year while the R.I.
Commission on Human Rights investigates a case.